Diaz Digital Discoveries offers a variety of coverage options and popular wedding photography packages to choose from. We offer freedom of choice for the amount of coverage and services you require. Although we do offer wedding packages, we don’t “lock you into” a certain number of prints or album styles because everyone has different tastes. All of our Wedding photography packages include between 6 – 8 hours of photography coverage and your images on a disc, download link or thumb drive, with the right to make unlimited personal copies and prints as you wish. 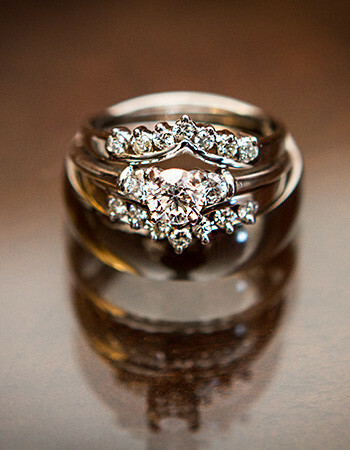 We have professional photography coverage and services to fit most needs, styles and budgets. We offer wedding photography coverage by the hour (a la carte) or you can save money with our wedding photography packages starting as low as $1,999. Our complete wedding photography packages are the most popular, because they include a full day (8 hours) of coverage, wedding album and an (optional) FREE Engagement Session. We feel the engagement session is one of the best ways for you to get to know us better, get used to being photographed professionally and get some beautiful images that show your love for each other. These images are often used to create, Gift Prints for your families, Wall Portraits, Save the Date products, Signing Boards or any of our beautiful Guest Sign-in books, or Engagement Album options. We also offer professional Video services starting at $1,599, which includes High Definition video coverage from multiple angles and your wedding film, professionally and creatively edited; delivered as an HD Digital Download, DVD disc or Blu-ray disc format. Click on the VIDEOS tab above to view samples of our videos and wedding films. You can choose either one of our services on your wedding day. Photography or Videography. Wedding Venue Referral Discounts – When you meet with us, ask us if your specific wedding venue qualifies for our Wedding Venue Discount. Depending on your wedding venue of choice, you may qualify for an additional discount on our packages. You can save up to an additional $200 on your Photography or Videography package. Ask for more details when you meet with us. Want to be a VIP Club member? Book our WEDDING ARTISTRY package, which includes photography coverage and a whole lot more…like our VIP card, which grants you unlimited FREE PHOTO SESSIONS FOR LIFE! That’s right, no more session fees – ever! If you are planning a family, this is our very best deal! Come in as often as you like each year and never pay session fees….ever! Ask us for more information about our Wedding Artistry Package and VIP Club membership. There’s so much more we want to share with you, so contact us for more specific wedding photography and wedding video pricing and availability. With our flexibility, you can spend as much or as little as you’d like to and still enjoy our fun, award-winning professional services. A $600 retainer is all that is needed to book and reserve your wedding date. The balance is due in full 3 weeks prior to your wedding date. Our calendar of available dates books up fast and we are currently booking weddings 12-24 months in advance. Contact us as soon as possible to reserve your wedding date with us. We offer Indoor-Studio and Outdoor-Studio portraits with several packages to choose from. Our outdoor portrait garden has several locations that are perfect settings for beautiful portraits of any kind. Package prices start at just $350 and include our studio session and prints or files from your session. During our pre-session consultation we will assist you in determining what package is best for you based on your specific needs and desires. We will also discuss with you, how to prepare for your session, hairstyle, makeup, outfits, accessories and more. All packages include our session fee. Payment is due in advance, in order to book and reserve your portrait session appointment. Call us today to check our availability and to schedule a visit to our studio for more information or click the CONTACT US button above.